Teenagers are the most stressed group of people in America when school is in session. Between getting good grades, having a social life, and growing into adulthood, many students have become overwhelmed with the mental strain of doing it all. Noticeably, each person has their own way of dealing with the many stressors that are involved in the four year ride, but sometimes it becomes too overwhelming to deal with alone. Around the country, high schoolers are dealing with pressure, anxiety, bullying, sexual abuse, drug abuse, etc. These common issues are only a few of the mental and emotional health problems that adolescents face every day. Stress builds over the four years of high school as students grapple with the question, “What do you plan to do after you graduate?” As each year unfolds, the realities of a becoming an independent adult builds until it is no longer a thing of the future, but a fact of the present. Ashland High School’s (AHS) Associated Student Body (ASB) co-presidents Kate Joss-Bradley and Amelia Zeve are in collaboration with well-known local yoga instructor, Libby Edson, to raise awareness around the mental and emotional issues of young adults. The goal is to create a physical space that will provide resources for students to develop skills that will help them manage their lives in a way that works for them. Tentatively named “Center for Your Mind,” it is a project that hopes to be a “catalyst for self-reflection,” said Edson. The resource center will be a place that encourages meditation and mindfulness to students who want “time to take a pause,” expresses Joss-Bradley. The physical space in H-39 provides a calming place to sit, take a breath, and relieve the mental strain. 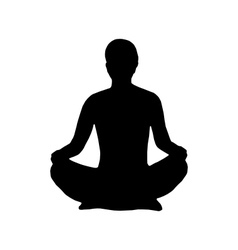 Students have an option to practice yoga or talk with fellow peers or adults if they wish to. Inspired by AHS’s student tutor setup, the center will be a peer supervised project which will hopefully be one of its defining characteristics. Joining AHS’s efforts to support students’ mental health are YoMIND, Inner Guide Expeditions and National Alliance on Mental Illness. These partners are the foundation through which the school hopes to battle the internal and external problems with which teenagers struggle. Edson hopes to “pioneer what we hope to become a role model to schools nationwide.” Still in the process of development, the area will conceivably open to all AHS students in January of finals week. Research has shown that the emotions of teenagers are more intense than those of adults, mainly due to the fact that teenagers undergo a major growth spurt physically, mentally, and emotionally. During this time, adolescents are facing many challenges that require a reasonable, well-thought out perspective on life; but they are at a cerebral and emotive disadvantage. The sensible decision making part of the brain, the pre-frontal cortex, is still in the process of being developed; while the emotional and perceptive part of the brain, the amygdala, is very active and strong. This battle of reason vs. emotion has a huge impact on how young adults are dealing with the situations they encounter.